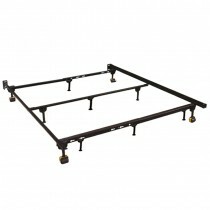 Replace your traditional mattress foundation or box spring with this heavy duty steel platform bed frame. Engineered to provide maximum support without squeaks or sagging. Also allows for ample under bed storage. 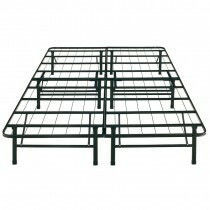 Support your new mattress and foundation with our heavy duty steel bed frame. Weight is evenly distributed for worry free support. No tools required for easy assembly.